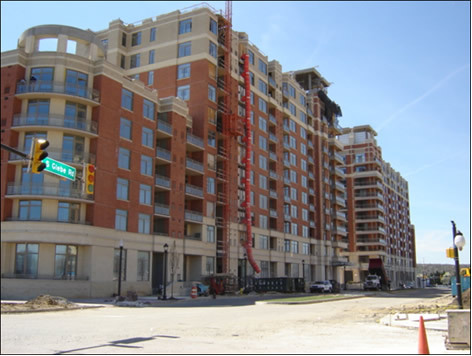 Condominium and multi-unit retail pricing for new construction and adaptive reuse projects. Determination of the feasibility of proposed developments through application of in-depth absorption projections, rent, pricing and expense projections and discounted cash flow analyses. National Realty Counselors also has provided clients with unit mix recommendations in multi-family developments in order to maximize the marketability of properties, with specific consideration to the ability to finance the recommended unit mix. Kent D. Steele has published an article on Highest and Best Use analysis in The Appraisal Journal. Significant projects have included determinations of commercial or residential development prospects and the optimal land use within a large mixed use planned community. Our staff routinely develops Argus enterprise models for complex commercial properties such as major retail properties, office developments, etc. Argus modeling also is available on a consulting basis outside of the appraisal function. Business location analysis, incentive negotiation, site selection, labor market analysis, economic impact analysis and logistics analysis. Feasibility studies, market studies, underwriting support, product development support (further extension of valuation services). Market Segmentation Analysis, Chicago, Illinois. Mr. Steele was engaged by a developer to provide recommendations for the optimal unit mix for a urban multi-family site with ground floor commercial space. A detailed demographic and market study was completed to identify the likely new residents in the market area and the types of dwelling units that would be required. Recommendations for rental pricing also were prepared. Self-Storage Feasibility Analysis, Chicago, Illinois. National Realty Counselors was engaged by a property owner to provide an opinion of unmet demand for self-storage space as it related to the market area surrounding a property. The analysis considered the overlap in drive times between competing facilities, the subject property and then the population with the overlapping areas. The population overlap figures were eventually converted into a demand estimate, which was then compared to the allocated supply in the overlap areas. The conclusion of this micro-economic study then allowed the property owner to make an informed decision on whether to move forward with the proposed development, which was conceptual in nature. Market Segmentation Analysis, Chicago Illinois. Mr. Steele was engaged by a developer to proved recommendations for the optimal unit mix for an urban redevelopment project consisting of three city blocks. A detailed demographic and market study was completed to identify the likely new residents in the market area and the types of dwelling units that would be required, as well as whether these should be rental units or for-sale units. Recommendations of the optimal commercial tenants also were made. Finally, recommendations for rental pricing for both the residential and commercial components were prepared.